(L-R) April Halling and Duane Cash. 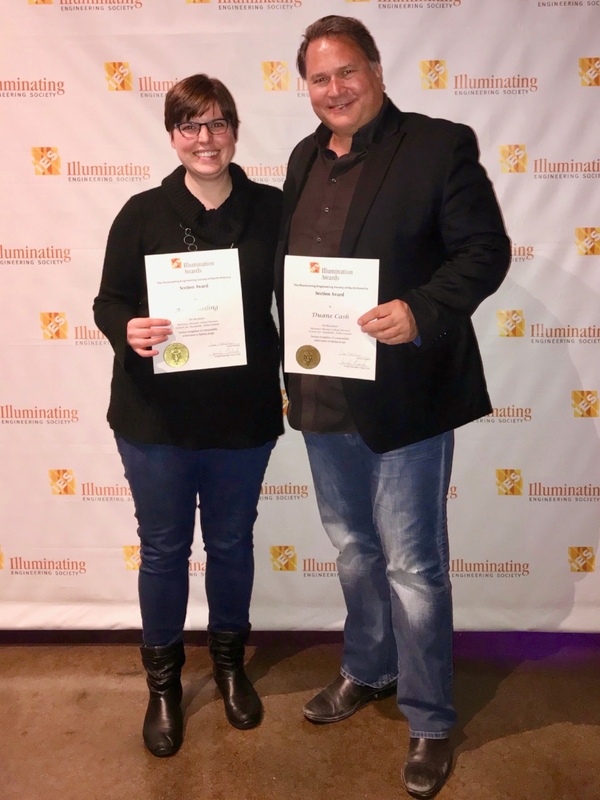 KANSAS CITY, Missouri – Shawnee Mission School District’s Center for Academic Achievement received a 2018 Illumination Award from the Illumination Engineering Society (IES) of Kansas City. Accepting the award was lighting designer April Halling of RTM Engineering Consultants and architect Duane Cash of ACI Boland Architects. The IES Illumination Awards program recognizes individuals for professionalism, ingenuity and originality in lighting design based on the individual merit of each entry. The judging system is entirely based on how well the lighting design meets the program criteria. “We are honored that the Center for Academic Achievement was selected to receive an IES award,” said Duane Cash, lead project architect. 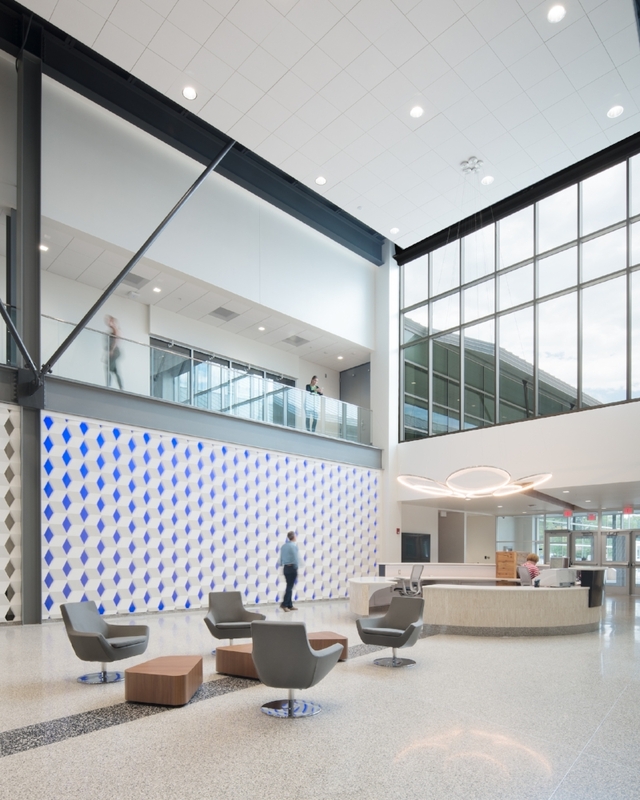 “The lighting for this project was carefully selected to serve students on a functional level while also providing elements of visual interest.” 2018 marks the 45th anniversary of the IES lighting awards program.